Designed by RDH Architects the 23,500 square foot building is more than just a library. It also houses the city’s municipal service centre, a senior centre, Flamborough information and city services, and the Flamborough archives. The 15,000 square foot library has better accessibility, more computers, outdoor reading areas, and even dedicated quiet spaces, to name a few of the upgrades. A huge step-up from the town’s last library, which occupied the old East Flamborough Town Hall and had limited space to meet the current standards of today’s libraries. It was too small, hidden, and dated for a town with an ever-expanding population. Topography played a pivotal roll in the design and programming of the new building. Situated on a sloping site, the building splits levels while managing to stay a single storey, in keeping with the character of the community it surrounds. The grade is used to create identifiable spaces through a sloping corridor, acting as the buildings axis. The spaces are also organized through levels, creating an easier navigation of site and accessibility for all ages. Inside the library, the children’s section includes unique furniture, and a playful asymmetrical skylight. Surrounded by glass exterior walls, it provides transparency for parents and an engaging environment for the children. Stairs and ramps lead you through the tiers of categorized book stacks. Skylights bounce off the punched ceilings, pouring natural light throughout the interior. And quiet studies encased in glass offer solitude from the surroundings, while still keeping the user connected to the space through visibility. At the top tier of the library the glass glazing overlooks Dundas Street, scattering southern light amongst casual seating, a communal table, and computer desks. The use of natural and artificial light is impressionable. The material palette inside the library is simple: wood (some of it repurposed), polished concrete floors, gypsum board, steel, and glass. Rich but subdued, a recipe for a warm and welcoming interior. Outside, the glass curtain walls on the north and south sides of the building interact well with the street and the neighbourhood it surrounds. The use of the sites grade and the division of space is apparent at the south end of the building. You can see the levels split, divided by a grassy knoll and stairs with a glass balustrade. Limestone panels clad the west side of the building, meeting the southern façade with a geometrical cantilever, creating a significant punch to the overall composition. At first glance the location seems wrong. It’s located on Dundas Street, the town’s busiest arterial road, close to big box stores and highways. But that’s exactly the point. Waterdown is sprawling and relocating it to another downtown side street doesn’t make sense. Parking is scarce and accessibility becomes an issue. The site it resides on engages onlookers with its presence and the northern entrance is also connected to the approximate neighbourhoods through the use sidewalks and bicycle parking racks. It’s a new hub for a town with ever-expanding subdivisions. Modern orthodox planning reigns supreme. The new Waterdown Public Library and Flamborough Seniors Recreation Centre has already won a Canadian Architect National Award of Excellence and it’s easy to see why. This project is one of the best pieces of architecture the city of Hamilton has seen in years. Inspired by Quentin Tarantino’s film “The Reservoir Dogs,” this adaptive re-use project in a 100 year-old masonry warehouse will be the latest addition to the North End. Designed by Thier+Curran Architects, each townhouse is designed with its own unique characteristics. The ultra-modern exteriors will include brick, custom steel, corrugated metal, glass and glass block, but each design will be different. For example, townhouse number 7 will have a two-storey periscope with skylights for additional natural lighting, number 9 will have an entrance foyer tower punctuating the roofline, and number 11 includes a two-storey loft. Glass block, used for privacy, is just one accent to the southern facades. Custom doors painted different colours (Mr. Orange, Mr. Pink, and Mr. Brown) will have full length stainless steel pulls and a custom artistic finish by local artist David Hind. Townhouse number 11 also includes a large commercial style glass garage to the entrance porch, screened with a wood slatwall for additional privacy. The interiors will be bright and spacious. Reclaimed brick and 14-to-17 foot timber fir ceilings provide the space with a warming, open feel. There will be cork tiling in the kitchen and bathrooms. Bamboo floors will be in the living/dining/sleeping areas and limestone in the foyers. The townhouses also include fireplaces and skylit gallery spaces with wall space for art. Number 11 will have an open ramped gallery to the basement, complete with a skylight. Townhouse number 7 and number 9 is one bedroom plus den, while number 11 will have two bedrooms. Number 11 also includes surface parking, a basement with safes (one converted into a wine cellar), and an outdoor shower. Each townhouse also has its own private garden. This 100 year-old warehouse was once a machine shop, holding US patents from 1888 until 1905. During the prohibition it was a liquor warehouse (Number 11 has a barrel ramp to the basement and two brick walk-in safes). And in the 1970s, the building was a boiler room. The project is slated to be complete by spring 2016. The City Centre, formally the Eaton Centre, is an eye sore. There is no subtle way to put it. It’s ugly, it’s imposing and for such a young building, it’s aged terribly. However, there’s more to this postmodern monstrosity than what meets the eye. 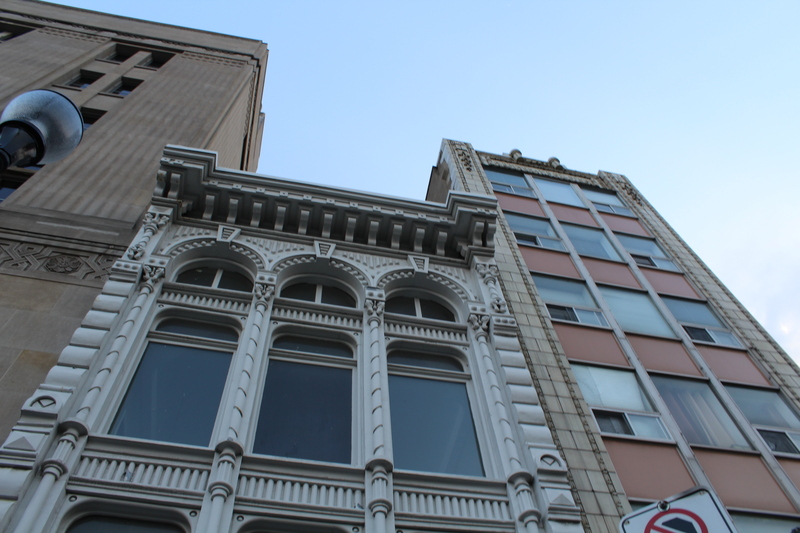 It’s become a part of the James Street North fabric and is worth examining more critically. Completed in 1990 by Baltimore firm RTKL Architects, it was designed during a time when postmodernism was avant-garde in Canada. Mississauga’s City Hall was completed a mere three years earlier by architects Jones and Kirkland and for the most part, was a resounding success in a booming city. But one of the issues with postmodern architecture is it becomes dated. Quickly. Though what’s interesting about architecture is how style is cyclical. What was once in style becomes out of style, only to be back in style again. Postmodernism has a charming braveness to it. It’s daring, confusing, whimsical, unique, and sometimes terribly executed (sorry, Michael Graves). Most buildings designed during this era of architecture look like they’ve had an identity crisis. Is it modern? Is it contemporary? Is it classical? The City Centre is no different. What is it? Reticles of steel tracery surround the James St N entrance, an unintentional metaphor for how it missed the mark. The exterior is more like a barracks than a mall and could be mistaken for the James Street North Armories. It’s a fortress, with almost no windows, unwelcoming entrances, and kitsch accents. The brickwork, tacky but fun; the steel framing, odd; the pastel colours, dated; and the clock tower is one of its only applaudable statements. Overall, the exterior could do with some re-imagining. In 2008 Lintack Architects did some exterior and interior work, adding windows and offices along the York Boulevard streetwall. A continuation should be made to James Street North. More windows, entrances that reach further to the street, and a greater connectivity to storefronts at street level could help revitalize its appearance. There is no interplay between the City Centre and any of its neighbours. Finding ways to mirror the success of pedestrian friendly buildings is a step in the right direction. The inside of the City Centre is a different story. It’s a lovely example of postmodern design done right. With nods to an architectural past (the interior was inspired by the Galleria Vittorio Emanuele II), the space is light, airy, and is a welcomed change compared to the abysmal, low-ceilinged bunker that is its neighbour, Jackson Square. Skylights pour natural light into the space through rows of arches. Detailed columns line the balustrades on multiple levels, framing the space in a gentle manner. While the food court is below grade in an atrium setting, topped with a glass dome surrounded by a frieze titled “Lineage” by artists Susan Schelle and Mark Gomes. The interior brings back nostalgic feelings to many Hamiltonians and it ought to be preserved accordingly. This is where the fear of change lies. The interior doesn’t need much. What it needs is refurbishing. The incandescent bulbs are burnt out like an old amusement ride, paint is peeling and fading into unrecognizable colours, and the space is sorely missing tenants. Drawing tenants should be the main concern, which will come. After all, this playful space once housed Eaton’s. World Gym is soon to move in, which should bring a great amount of foot traffic and hopefully snowball into something more. The food court needs food, the spaces require tenants, and the tiled floors need treads walking all over them. As Jackson Square slowly claws its way back to a viable shopping destination, so too will City Centre. All it needs is some love and attention. Let’s just hope Cash 4 Money leaves the premises, because the City Centre is better than that. Nothing deters people like a shark in the water. 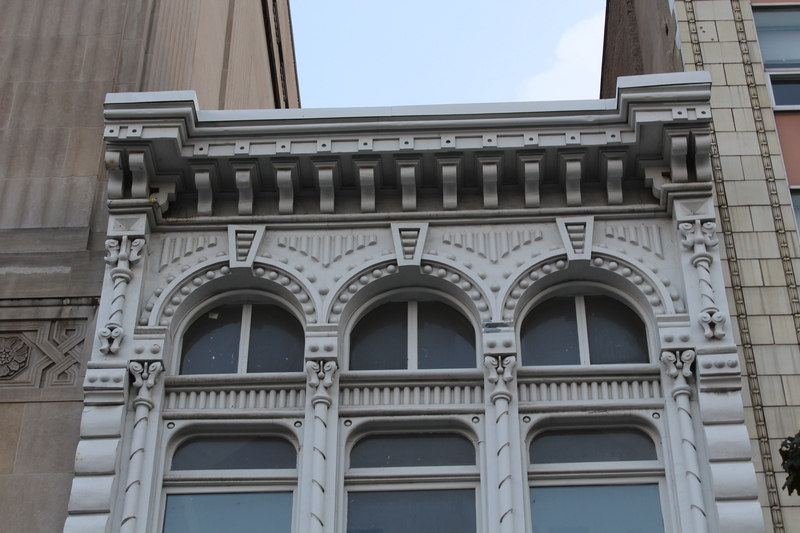 It’s enamel white; it’s delightfully detailed; it’s in Gore Park, and it’s a National Historic Site. It’s the Victoria Hall building designed by Hamilton architect William Stewart. 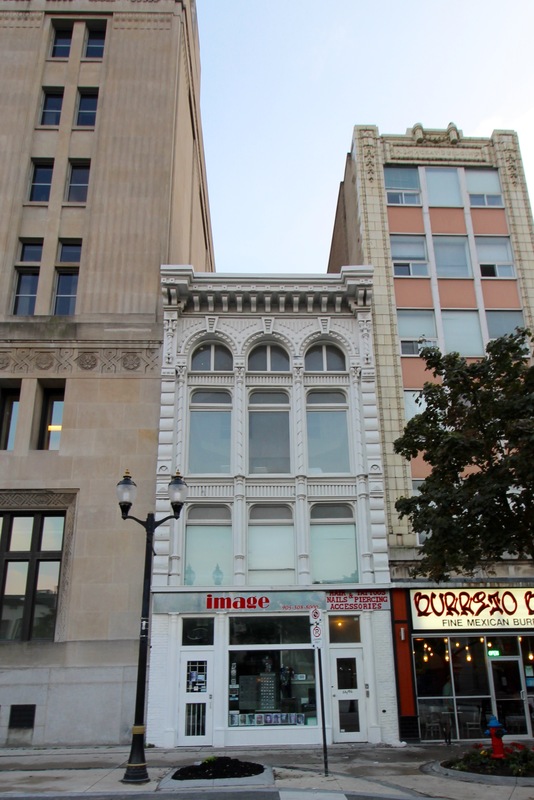 Completed in 1888 for Hamilton Lawyer Alexander Bruce, this three-and-a-half storey building sits wedged between the large Dominion Bank Building and the six-storey terracotta A.B. MacKay building. The façade is composed of galvanized sheet metal, giving the appearance of a rich painted stone texture, but without the expense. The sheet metal is sculpted by hand in Italianate detail. Above the storefront, three-bay windows are surrounded by elongated columns spiraling towards the sky with decorative corbels clinging at the pointed tops as if they were the wings of a butterfly. Flanked by marshmallow-like rusticated pilasters, the high relief details draw the eyes up in a true tripartite fashion. The top half-story has short arched windows complimented with ball shaped voussoirs and large keystones. Capping the building is a large overhanging cornice shaped with bulbous corbel brackets and a simple frieze. Victoria hall was designated as a National Historic Site in 1995 for a number of reasons. 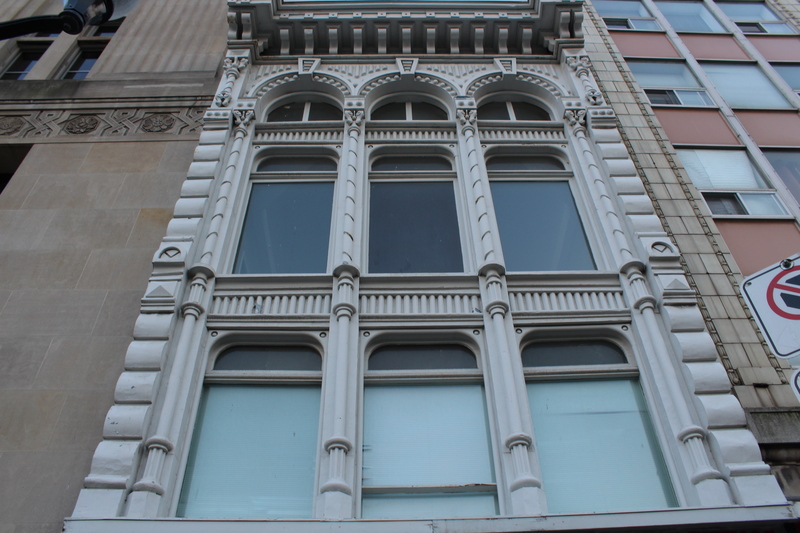 It’s a rare High Victorian commercial building amongst the rest of Gore Park’s building stock and Victoria Hall is also one of the earliest remaining sheet metal facades still intact to grace the skies of Canada. The building was purchased in 2005 and the Toronto engineering firm of Tran Dieu & Associates converted the upper stories into two large residential units. Both units were occupied after the renovations, which were completed in late 2008. Sometimes all you need is a bench and a book. Mixed with the right setting and it can be a fairytale of imagination, inspiration, and conversation. In this case, Thier + Curran Architects wrote the perfect story. 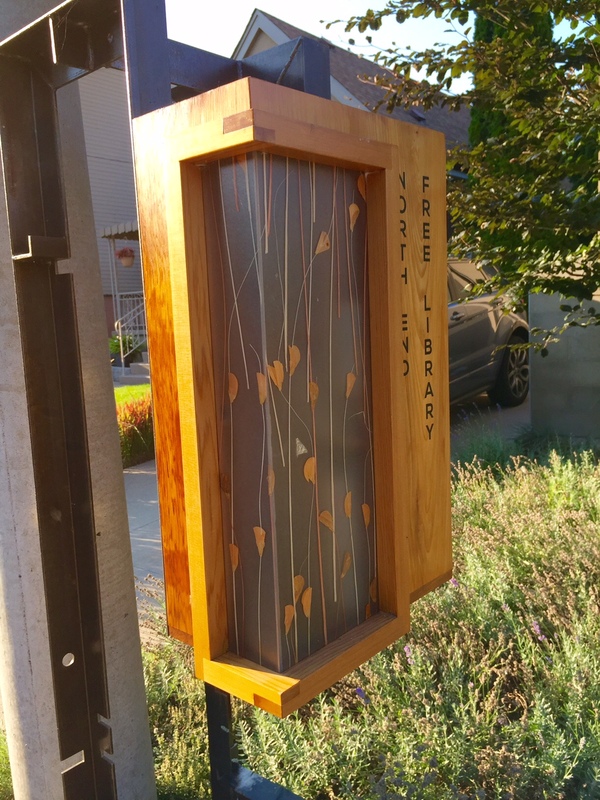 With a bench on a steel frame and a box full of books, the recently completed North End Free Library is a little community oasis on a quiet street. The raw steel frame is exposed with all the marks and traces of its construction. 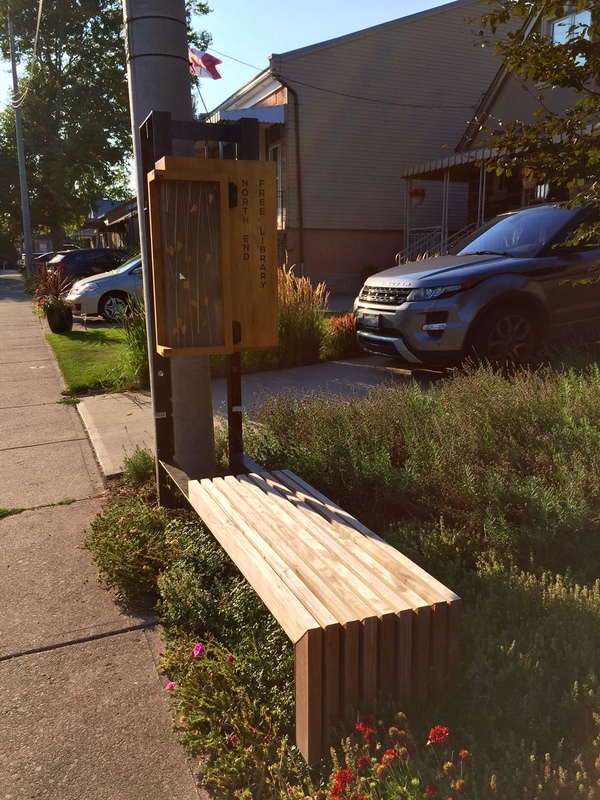 Perched atop the L-shaped boxlike frame is an ipe slat bench for the passerby to stop and read, or converse with neighbours. 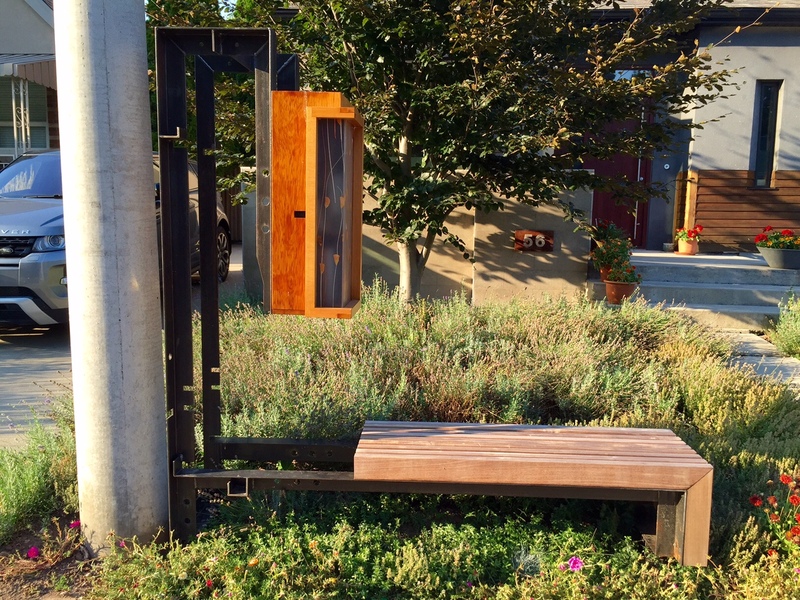 A cedar library box hangs down against the frame like a light. 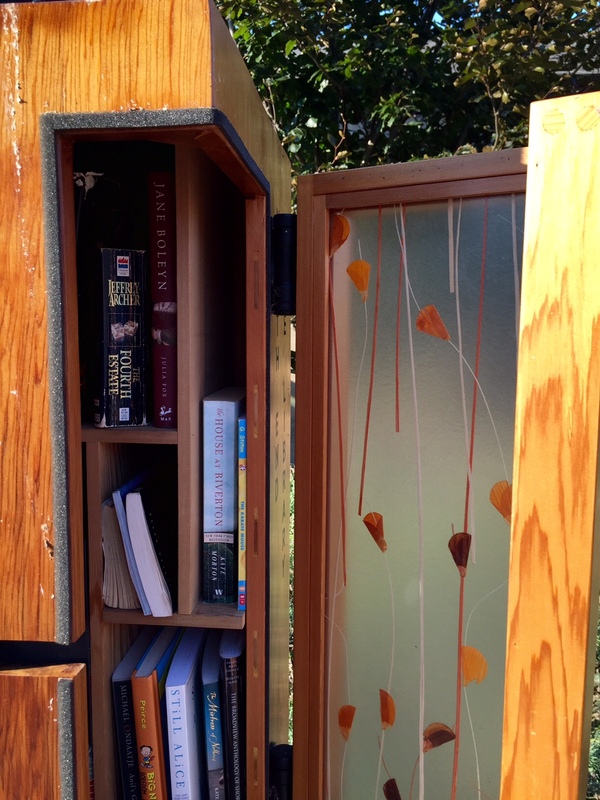 With a decorative resin window and self-closing hinges, the little library comfortably holds an adequate amount of books in a sealed space. It’s like finding a cupboard of educational treasures. Designed and financed by Thier + Curran Architects, the library presides on the Scime/Curran Residence, an adaptive re-use project by TCA. 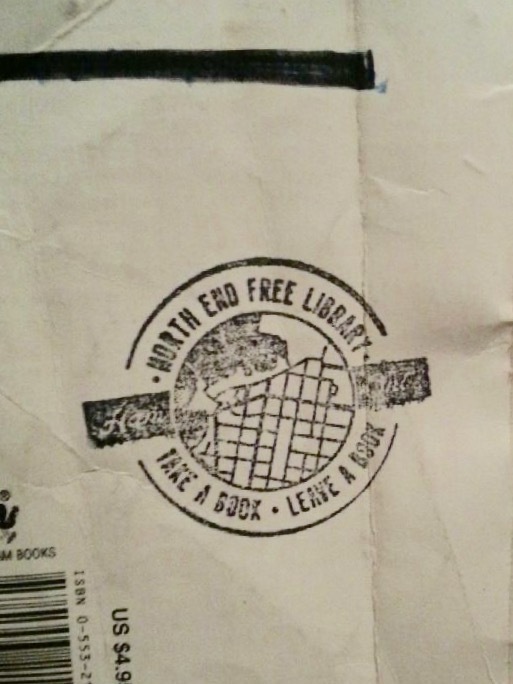 Each book even comes with a custom stamp designed by the firm. Take a book, or leave a book.